* Please look at the details carefully; if you need to change the facility, just go back one step. STEP 5. You will be prompted for your credit/debit card information. * Your credit/debit card is completely safe and secure. ** We accept all Visa, MasterCard, AmericanExpress, Discover, Diners, JCB credit/debit cards. 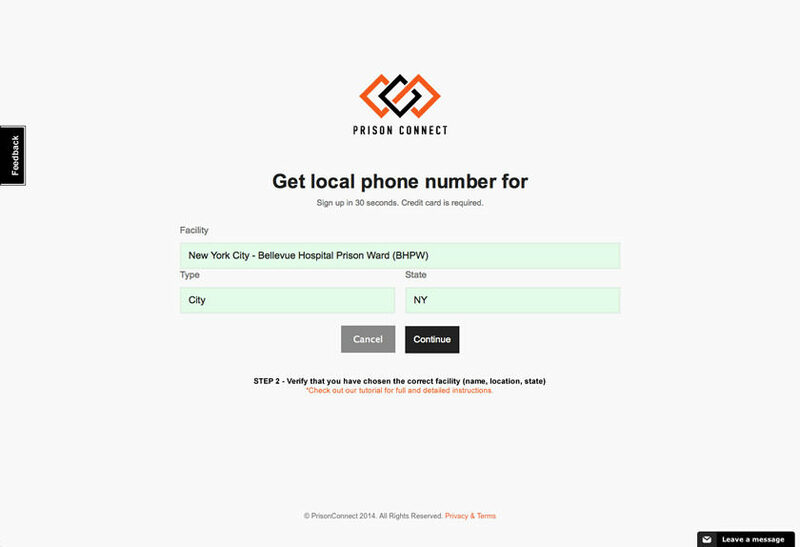 The process is simple and quick, and within seconds you’ll get PRISON CONNECT - a number local to the facility where your inmate is located, which redirects to your cellphone every time your inmate calls it. Please see important instructions for how to receive calls once you get your PRISON CONNECT number. This is a notification that your order has been processed and that we are waiting to receive a number for you. 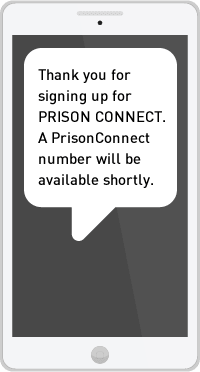 Once the number is assigned you will receive an SMS with the PrisonConnect number to use. The PRISON CONNECT number is usually assigned right away - real-time! In certain rare cases the number is not available immediately; in such cases we may need several days to assign you a number. We kindly ask that you be patient, and to keep in mind that our system is actively looking for a number for you. This part of the process is not up to us, so we don’t know how many days it will take, but we are always doing everything to acquire the number for you as soon as possible. You have successfully created your PRISON CONNECT account. 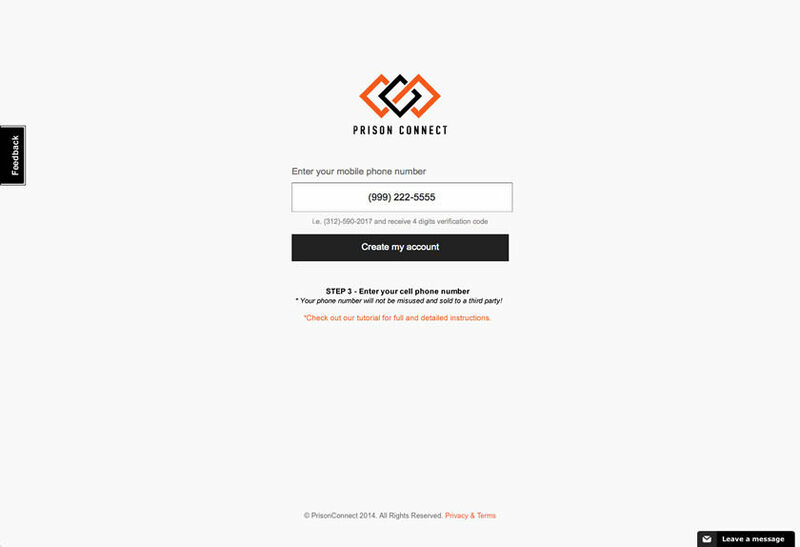 If you have any questions, please don’t hesitate to contact us support@prisonconnect.us - we want to keep you a happy PRISON CONNECT user! If you received an sms with a PRISON CONNECT number for your chosen facility, the service is available immediately. 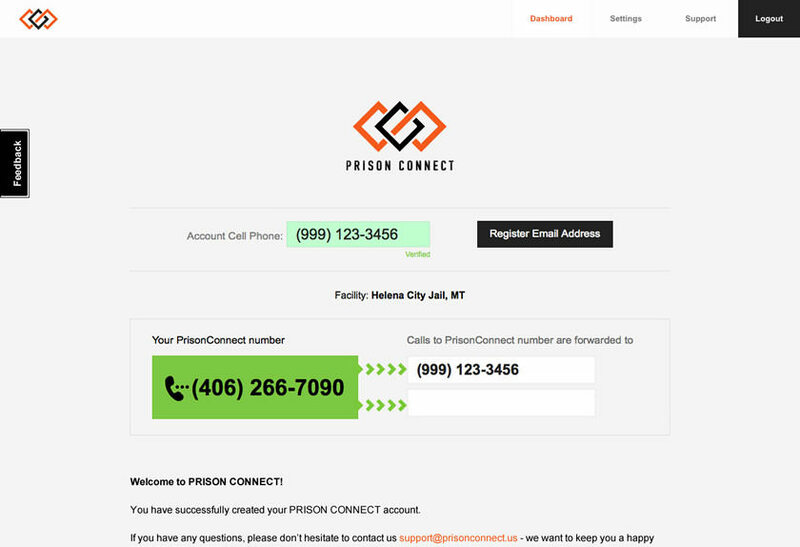 You can test your new PRISON CONNECT number by calling it from any phone other than your registered cellphone; the call will ring and it will redirect to your cellphone. Thank you for signing up for PRISON CONNECT. A PRISON CONNECT number will be available shortly. 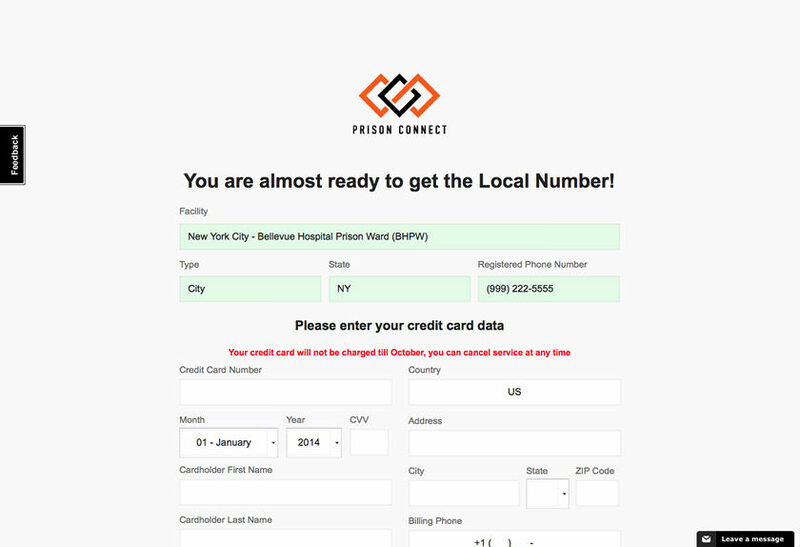 Once the number is assigned you will receive an SMS with the PRISON CONNECT number. PRISON CONNECT is usually assigned right away - real-time! In certain rare cases the number is not available immediately; in such cases we may need several days to assign you a number. We kindly ask that you be patient, and to keep in mind that our system is actively looking for a number for you. This part of the process is not up to us, so we don’t know how many days it will take, but we are always doing everything to acquire the number for you as soon as possible. 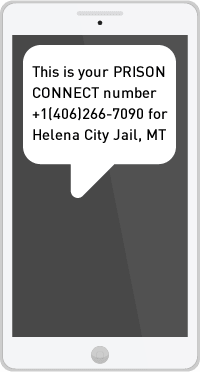 Once you have received your PRISON CONNECT, your number is active and can be used. You can test it by calling it from any phone other than your registered cellphone, and it will ring and redirect the call to your cellphone. In federal prisons, inmates are charged through their commissary account, at a rate of 6¢ a minute for local calls. 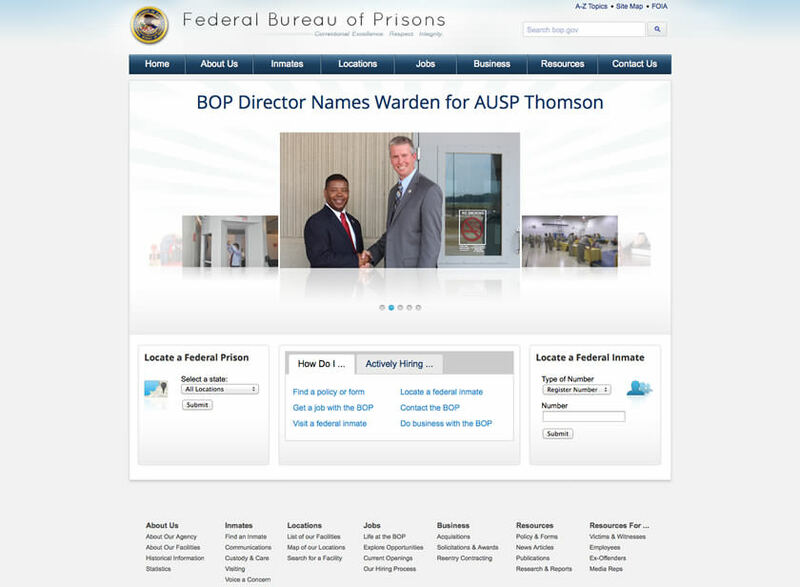 Please consult the Federal Bureau of Prisons http://www.bop.gov for more information about ways to set up and charge a commissary account. 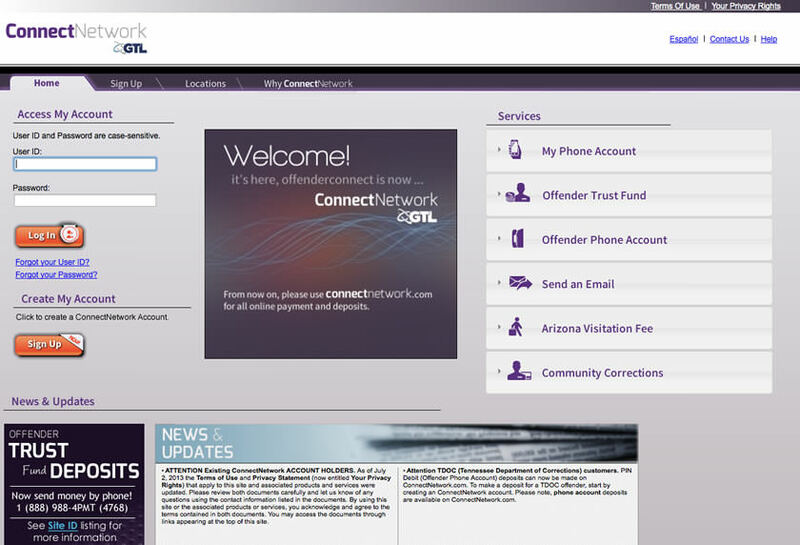 When the inmate calls you on the Prison Connect local number you will reduce the cost of your conversation by 17¢ a minute, and pay only 6/7¢ a minute. That means that if the inmate uses his/her allotted 300 minutes per month, only 18$ will be charged from his/her commissary account, instead of the regular 69$. 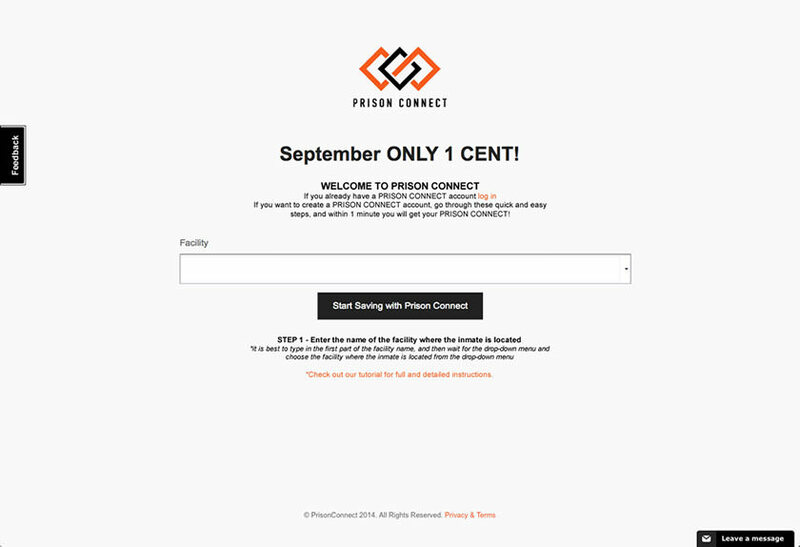 In that way, Prison Connect saves you and your inmate 51$ per month. An account with the jail/prison phone service provider is needed - there is no way around it. The account with the jail/prison phone service provider needs to be funded to make call from the jail/prison. Please consult the particular state department of corrections website for more details on setting up an account with the licensed provider and their local phone call rates. 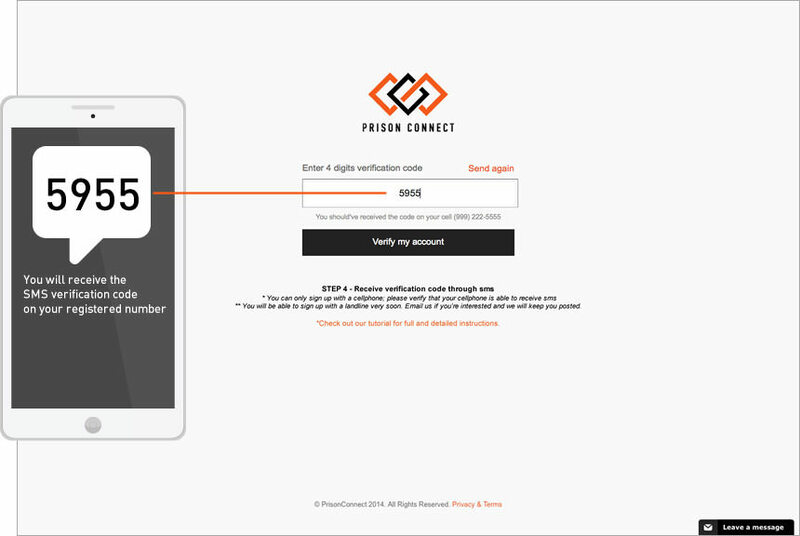 Registering the PrisonConnect number instead of your personal number will save you a lot of money - you will be charged at a local phone call rate instead of the outrageously high long distance rate you usually pay. When the inmate calls you on the Prison Connect local number you will reduce the cost of your conversation by at least 30%, and in some cases even up to 80%. WE GIVE YOU THE BEST PRICE - GUARANTEED!